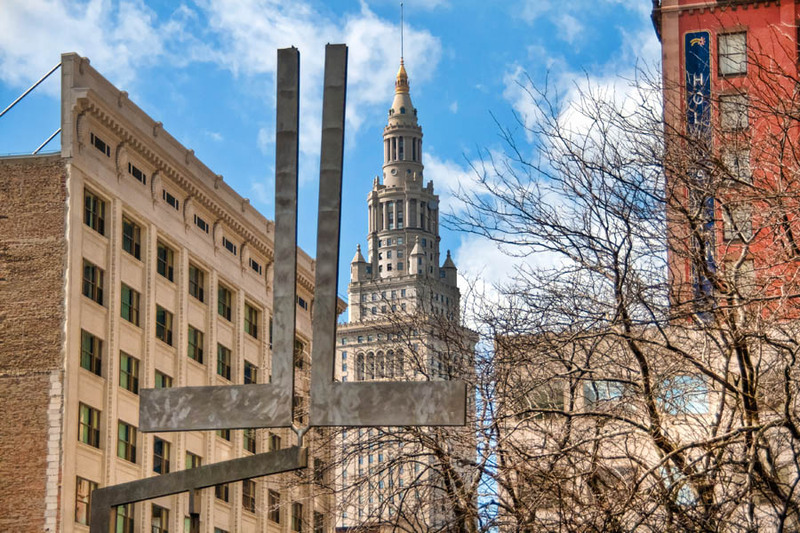 Today’s photo is of a really cool sculpture in Downtown Cleveland. It is the Triple-L Excentric Gyratory Gyratory III, made by George Rickey in 1980. This kinetic sculpture is comprised of three L-shaped arms that move and twist. It has a 27-foot radius of movement.